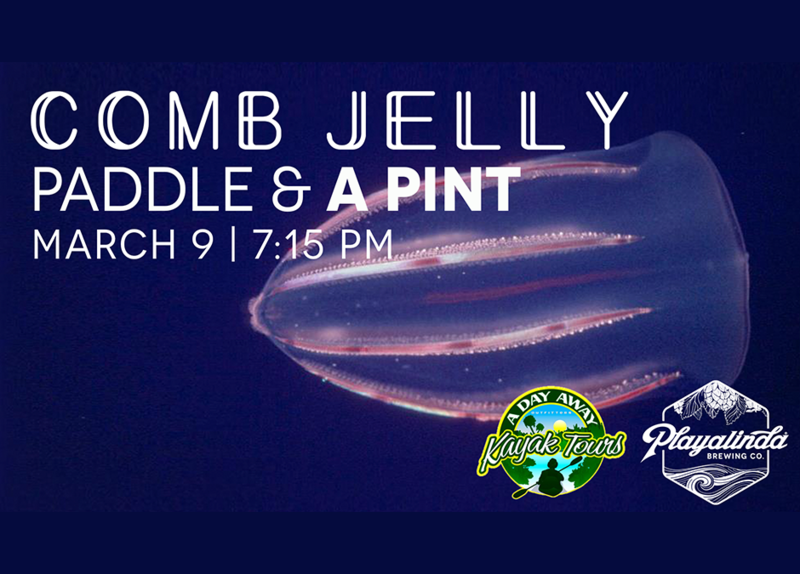 Comb Jelly Bio Paddle & A Pint - Playalinda Brewing Co.
See the magic of the Space Coast! 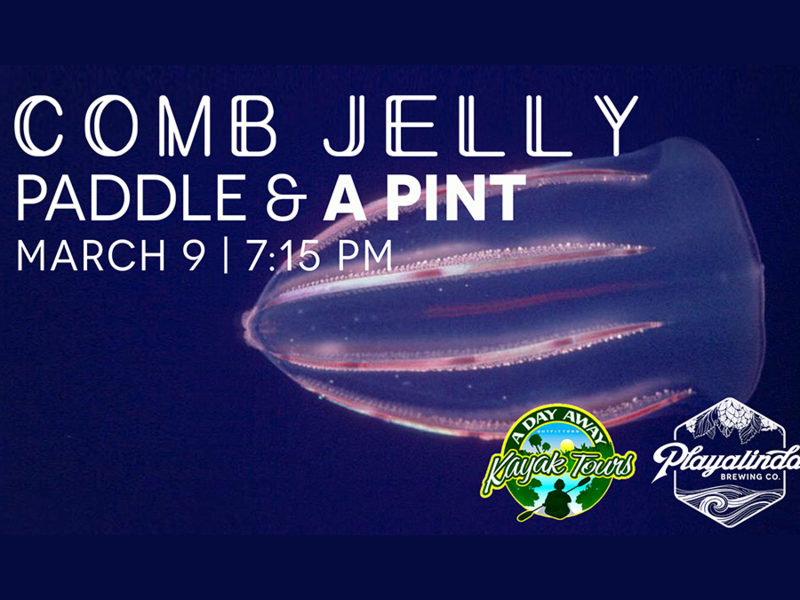 Join us with A Day Away Kayak Tours for a Comb Jelly Bioluminescent Paddle & A Pint on the Indian River Lagoon! During the cooler months here in Florida bioluminescent comb jellies congregate in the protected waters. Living in the most bio-diverse estuary in North America, Comb Jellies are clear, glob-like creatures that, despite their name, do not sting! So as you paddle the calm waters laced with mangroves and palm trees, you can catch and hold these gentle glowing creatures. They’re right at your fingertips while having a safe, awe-inspiring kayak adventure with those who share your enthusiasm for new and unique experiences.